Don’t see anything in our store that works for your needs? Contact me for a custom design or create your own design. Upload your own photos or graphics and add text to these blank templates. 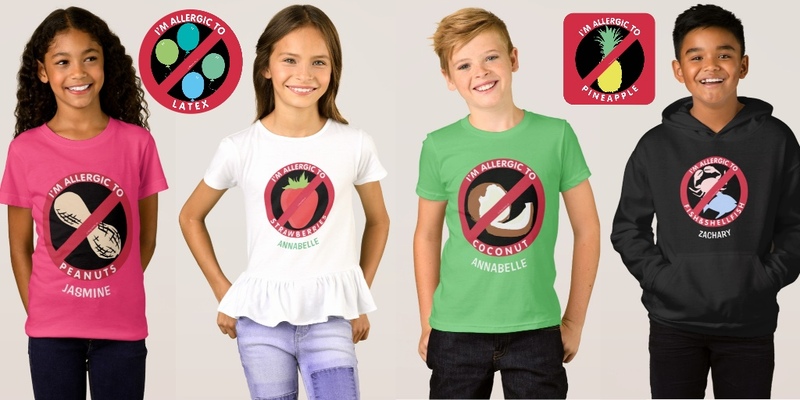 Keep it simple by just adding your child’s name to stickers or their allergen to a shirt. 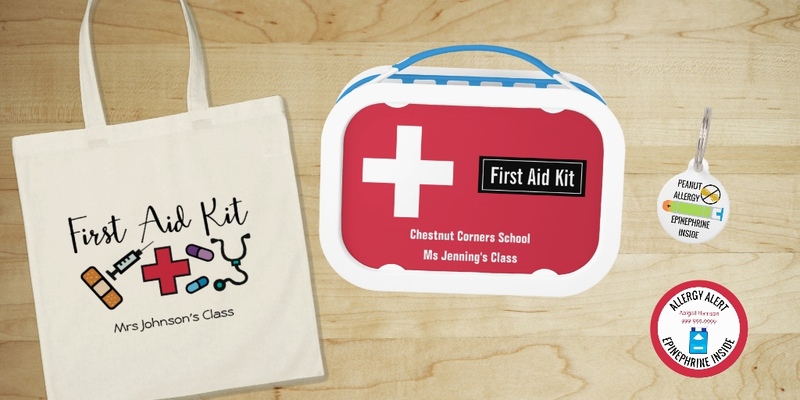 Choose from a variety of sizes for stickers, keychains, and labels. Lunchboxes and waterbottles both come in a variety of color choices. All shirts are available in infant, toddler, kid and adult sizes. tank tops, short sleeve, long sleeve, and hoodies come in a variety of color choices as well. 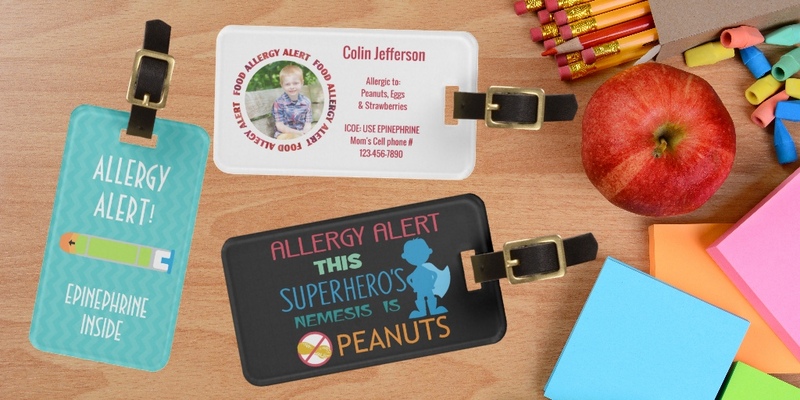 Zazzle offers a nice selection of font styles to help you customize your allergy alert product. *DIY designs are your OWN images and text added to blank templates. Copying or attempting to duplicate Lil Allergy Advocates graphics for personal use or distribution is prohibited. Lil Allergy Advocates retains copyright of all graphics we design for our allergy alert store. If you wish to use our alert symbols or graphics please choose from the wide variety of items in our shop or contact me for assistance with a custom design. See our ABOUT page for frequently asked questions and full disclosure.